Awaiting destruction or rescue...or a destructive rescue. If you've ever had nightmares of being chained to the chair of a maniacal dentist, the Melting Room set may send you haywire. 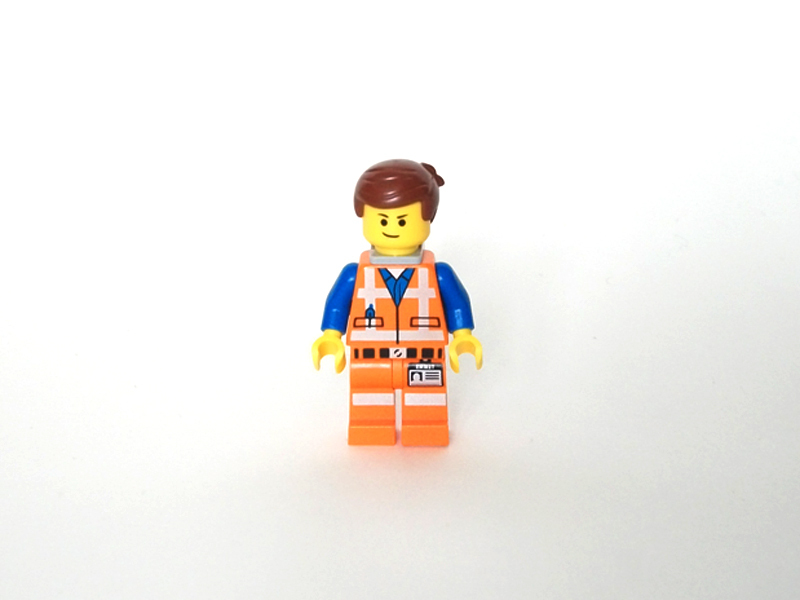 Put yourself in Emmet's place and it may inspire thoughts that are more chilling than sympathetic. "At least Emmet doesn't have to watch in horror," you reason. But the real scary part? The brick on his back is the most valuable thing in the room. The front of the box has the set taking up a surprising amount of real estate for its actual size, to the point where the piece count should serve as a reminder of its true stature. In other words, images on the front of the box are larger than they appear. There's not a whole lot of variation that could be done with depicting this scene, but the 'rescue mission' aspect does translate with Wyldstyle trumping the SWAT unit, who would presumably go on to plead for mercy, all while Emmet freaks out over a charging laser. 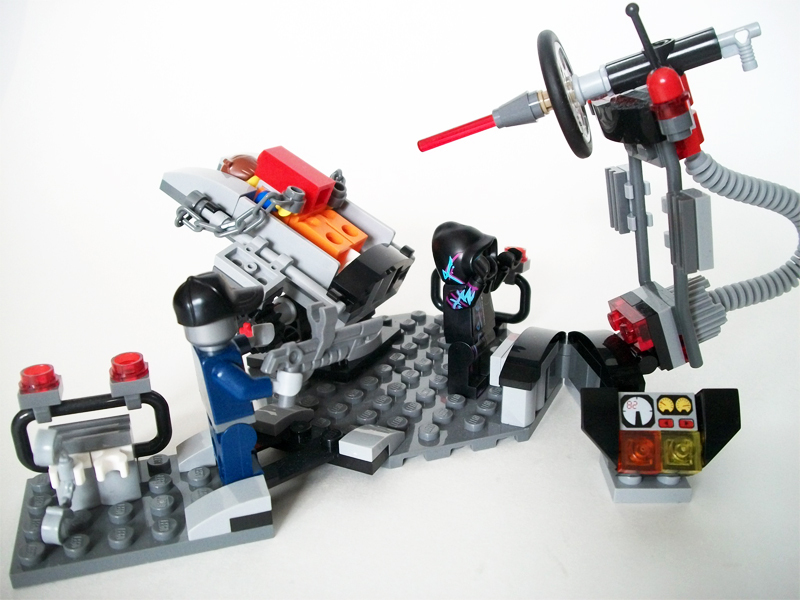 Rather than highlighting the folding aspect of the laser, the second bumper shows Wyldstyle about to grab the axe at the small storage station. If play value is what you seek, the artwork here isn't as convincing as it perhaps could be. 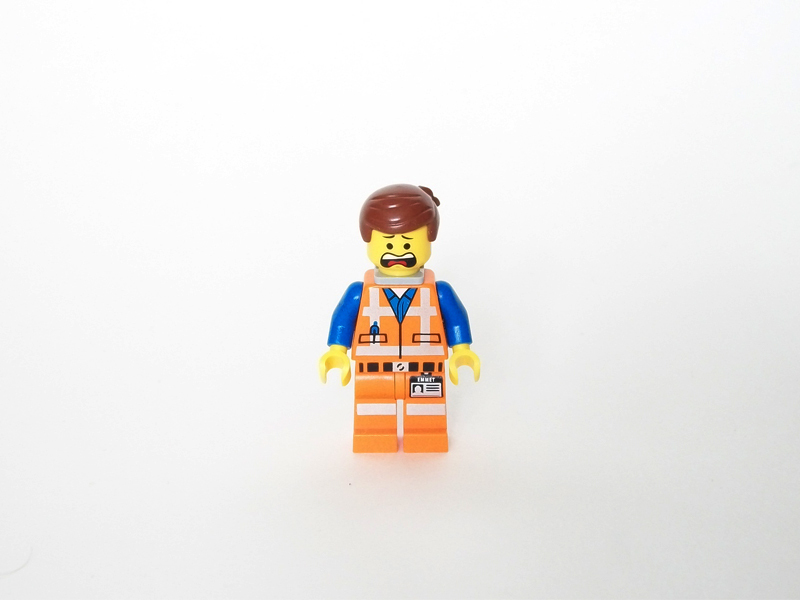 Standard Emmet getup (Piece of Resistance included) with a double-sided frightened/passive face. No doubt an expression of confidence in Wyldstyle's rescue abilities. 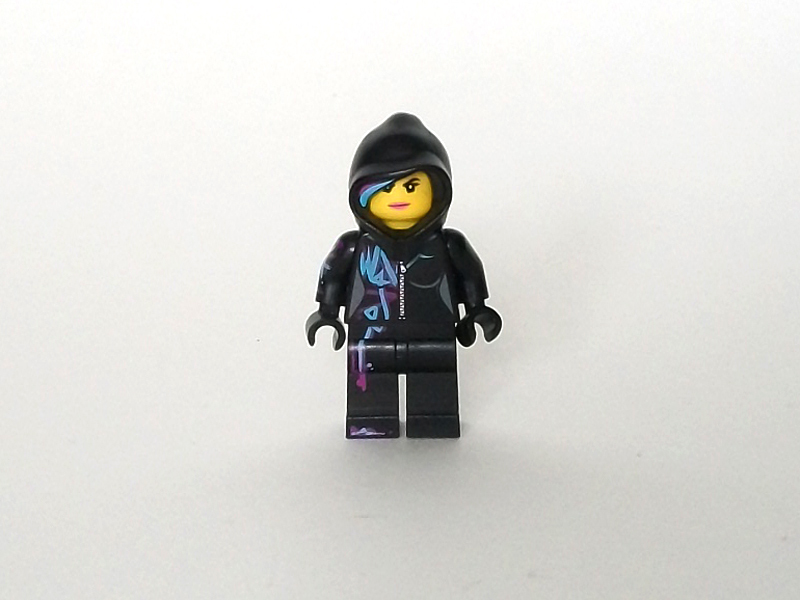 Wyldstyle gets a special, exclusive add-on for her minifigure in the form of a hood. Along the inside, you'll spot threads of purple and blue colouring to represent her hair underneath the hood — that is, what it would be if there was a separate hairpiece included. 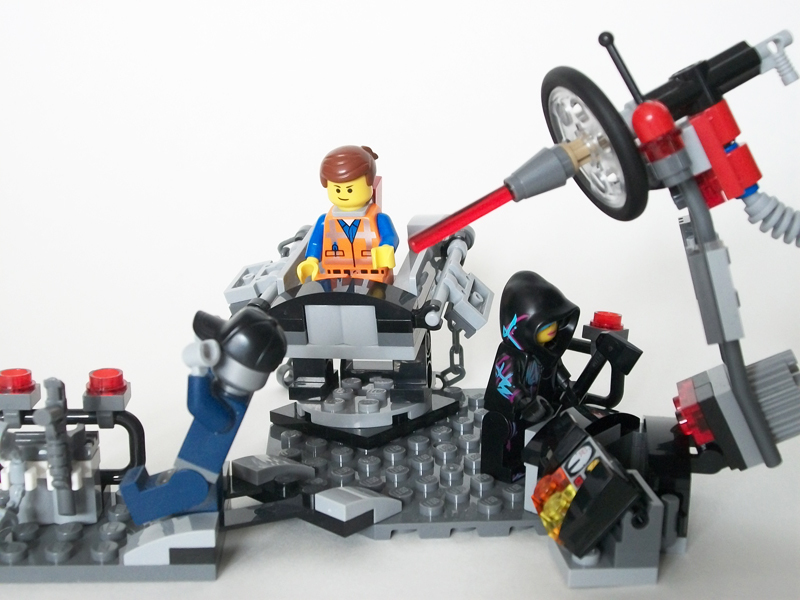 As per movie form, she also wields an axe in this scene for loosening Emmet's chains. 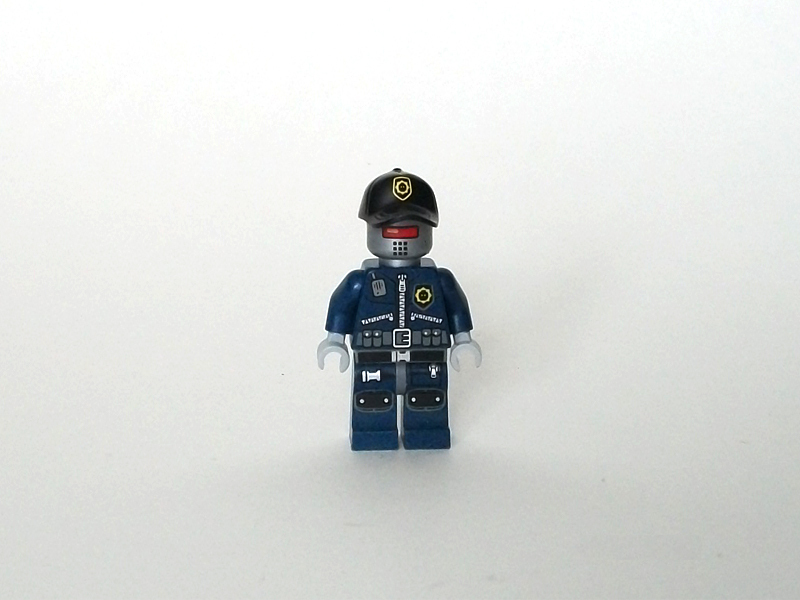 The third minifigure is a standard Robo SWAT unit from the Super Secret Police. Front torso and leg printing reflect a well-prepared and adequately stocked unit, while the back shows a receiver peeking out from what would be his back pocket for communicating with the rest of the team. He also comes with a black cap featuring the SSP insignia on the front, along with slight grooves and indentations for detail. Also included in this set specifically for this fellow is a small blaster, no doubt for guard duty. 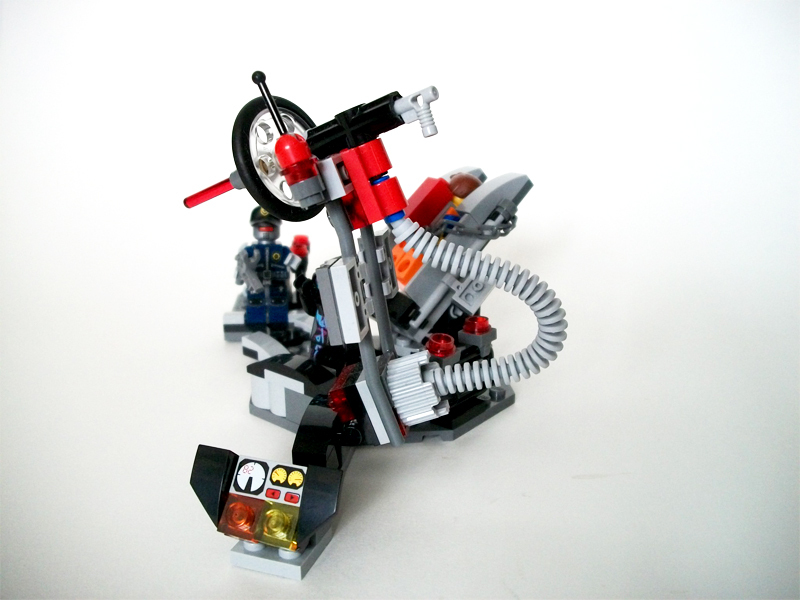 The "evil dentist chair" serves as the centerpiece for the set, fixed atop a small octagonal base. An A-shaped piece (with grey arch pieces on the ends for some stability, though not perfect) connects this area to a small platform meant for item storage (i.e., the blaster and a set of handcuffs), and here is where you'll also find one of two security barriers with two red lights — the second being situated adjacent to the chair. Some interesting techniques are involved in the construction of the chair itself and the rotating platform it sits on. The mechanism works nicely for a twofold interaction when coupled with the rotating function: a knob along the bottom of the chair allows for vertical adjustments where the chair can sit lying flat or standing at an angle at either extreme. Just a regular, non-threatening swivel chair...with chains. 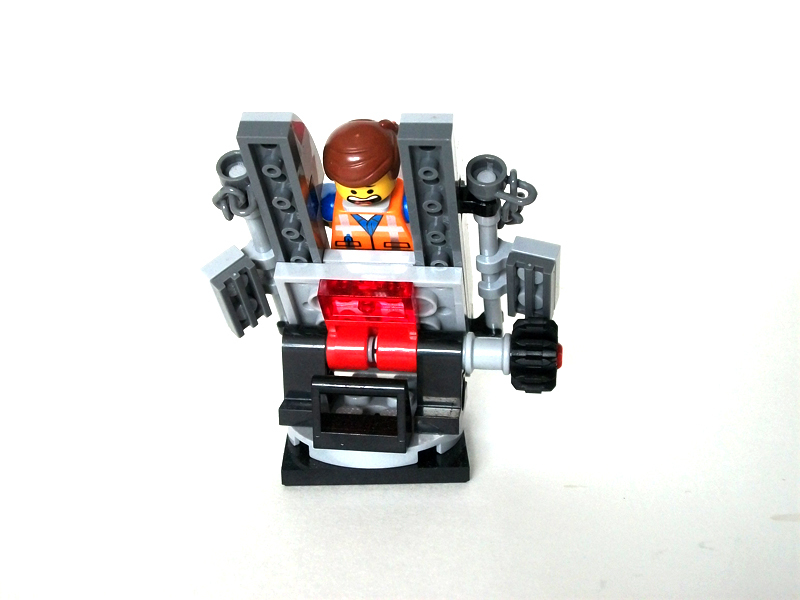 The reverse-facing, swiveling chair is designed in such a way that Emmet will be standing (securely placed) with his face looking outside the main area and chain studs on either side of the chair attached to his hands. Everything latches together nicely and the physical execution works well on the whole. If you couldn't tell...I'M FREAKING OUT RIGHT NOW! On the opposite end of the main base is a terminal for the laser, with a folding piece that allows you to position the device dead-on or further out. The machine prompted curiousity during the build, and when it's complete, the neatest aspect to it is the vacuum machine-like coil that serves as a connector between the top and bottom of the device. 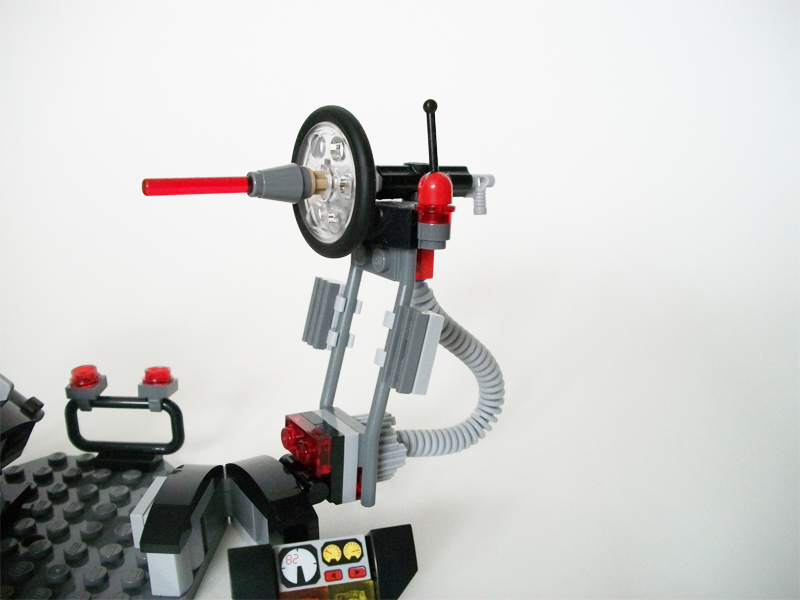 There is a gizmo to the side of the contraption with reading levels and transparent orange and yellow studs for lights. 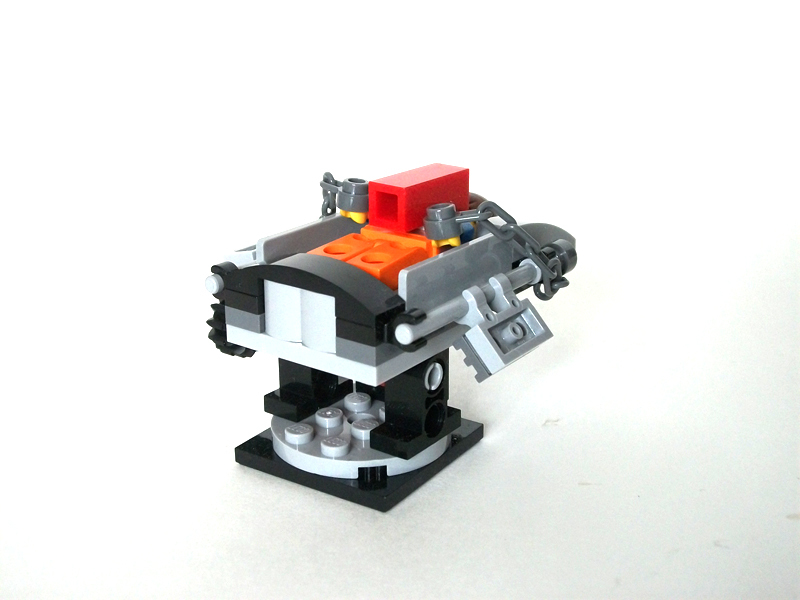 There is a question of whether or not it's a necessary detail, particularly because when the laser is away from the base, this small gizmo is out of reach for the minifigures. Even the box shows it detached and off to the side. So the integration could have been a bit better, but for the most part there will be some gratitude over this tiny extra. Being able to position the laser is a nice boon to the overall set, as it lends to some playability. After saving Emmet, why not fashion a new escape route...through the roof. Or maybe head underground, where your getaway vehicle awaits. 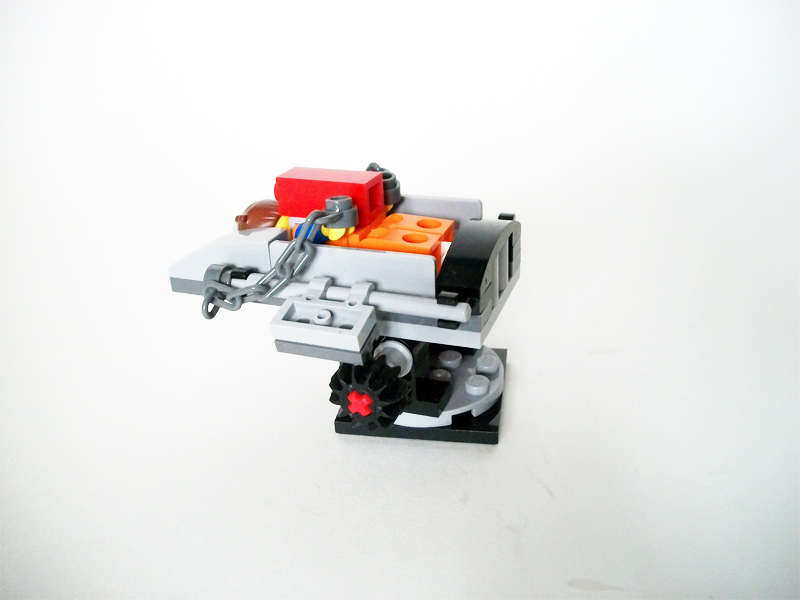 Coupled with the rotating chair, it makes for a set with energy. The Melting Room is an easy, time-friendly build and a good starter set for the rest of the theme, especially because there's potential for it to pair with Lord Business' Lair for a more complete experience. Failing that, it'll be seen as a quirky, compact display piece with some decent interaction to it. Compared to its closest counterpart (the Getaway Glider, for its identical price and similar piece count), the Melting Room, though still light, has more going for it in the way of play value and integration with other sets. On its own merits, it's a good depiction of the scene it's based on and there's just enough here for a mildly satisfying experience to be had. What's more, those into other sci-fi themes will want to pick this up for the main components — if an insane dentist isn't your thing, then mad scientist will do just as well. Good for what it is; interaction sells the set; decent integration of secondary components for one single unit; good construction on the chair; one or two interesting parts/elements such as the coil; minor flaws with stability and lonely gizmo. 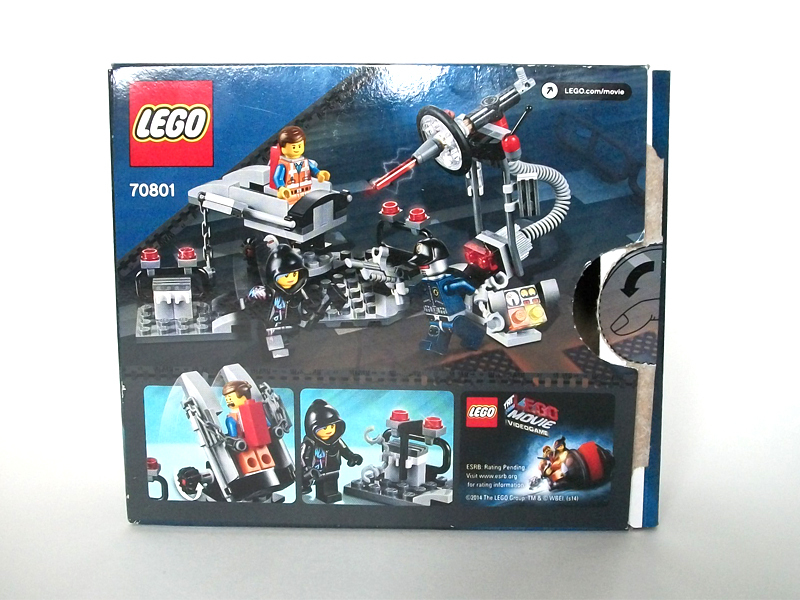 Decent for a small set of this calibre; scene re-creation; increases when paired with other LEGO Movie sets; fold-out laser allows for different positions; works for display purposes. Average minifigure count; exclusive hood piece; chair is adaptable for other sets; PPP ratio is relatively on par; will get more out of it than Getaway Glider for the same price. My, how the tables have turned! Nice review of a nice little set! Oddly, I have not yet picked this one up! Are more reviews on the way? Thanks much! Do you have any requests? It can be sets from this or another theme. 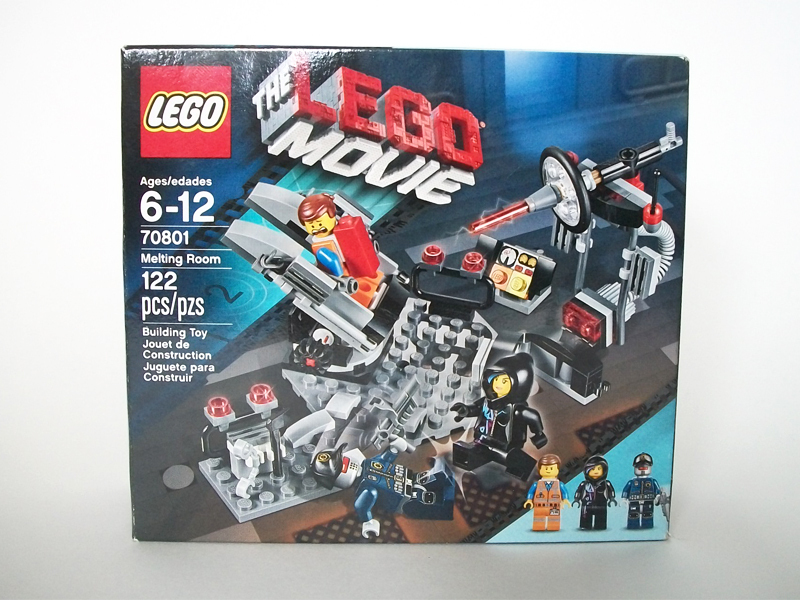 From the LEGO Movie line, I can tell you that I do plan on reviewing the Getaway Glider set.